The weather is fine for a new fishing adventure. An overcast shade above and the sky is cloudy and the wind chops on the water, man, its perfect time for fishing out in the open. Are you ready to go fishing – Bass Fishing! A seasoned angler catches fish through better cadence and pacing this would maneuver the bait, mimicking the real thing. Moreover, a good fisherman needs exceptional fishing gears such as is a quality-performing jerkbait rod, lines, reels and baits. 1 How to opt for the right fishing rod? 3 What are the jerkbait rod on the market 2019 ? 4 What reel should be used for jerkbait rod? 5 How to choose the best fishing line for jerkbait rod? 6 What lures should be used for jerkbait? How to opt for the right fishing rod? A reliable jerkbait rods need to have a sturdy backbone, this is basically to help you fight that humungous catch. You can’t afford to lose it when the rod gives way. You also don’t want to get hurt yourself when the rod snaps or bends at a detrimental angle. A strong backboned rod remains stable for easier reeling and pulling of your catch. A stiff rod is ideal for that perfect grip when you are aiming a dart-precise casting. Usually quality jerkbait rod requires a soft and versatile tip to maneuver the bait naturally – through a series of twitching. The right twitching is through pulling the rod straight down at you. But typically, the weight of the bait plays an important role for a smooth casting. Usually baits have weights which are great for longer casting. When the rod is too long, it touches the water, this will cause the bait to sink down. This can be strenuous and for the most cumbersome. When the rod is too short the casting length can be greatly compromised. You should get that ideal length relative to your height. Typically, a recommended height is 6”6’ medium (~ 2m) for most anglers. There are various elements to consider for a perfect catch: the ability of the angler, the angle, twitching speed, and water temperature and timing. Effective fishing using a flexible rod requires exceptional hand dexterity and angling. A better angle is a 3:00 for those relatively smaller catch to 5:00 for the one’s that will really give you the thrills. You never to use the reel to secure a tight line, this can really be dangerous. A proper way is to take advantage of the rods tip to pull the line and reel the dangling line. When the water is frigid especially for those who reside up north, twitching the rod tip needs to be slower, this also means a slower reeling. For those catching fish in the tropics and in warmer waters, a swift hand and arm movement is helpful. The twitch should also be at the right cadence and stroke combination. In most cases, when the water is calm an interval pausing between twitching and reeling can help lure a catch. Cadence and the right timing can be learned through years of fishing. Seasoned anglers usually follow the pattern of ‘pull, pull, pause, pull’. You can also play dead by pausing 30-40 seconds. What are the jerkbait rod on the market 2019 ? There are various considerations in finding a good rod for your bass fishing. Aside from saving a few bucks, of course you really need comfort in catching fish in the open. There are a lot of brands out there. Others come in various length while others come with one rod size. One should not be deceived by the price or some claims out there. Typically, you need a peculiar length and power to get the best catch. 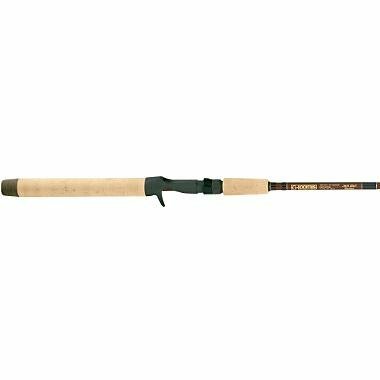 A rod with more or less 7’11” length can help you catch bass, trout, catfish, salmon, stripers, tuna or marlin. Overall no matter what the sizes or specs your rod may have, proper body position during the fight can have a great factor for success, well that would be a great discussion for another article. For now, here are the rods that you should include in your bucket list. 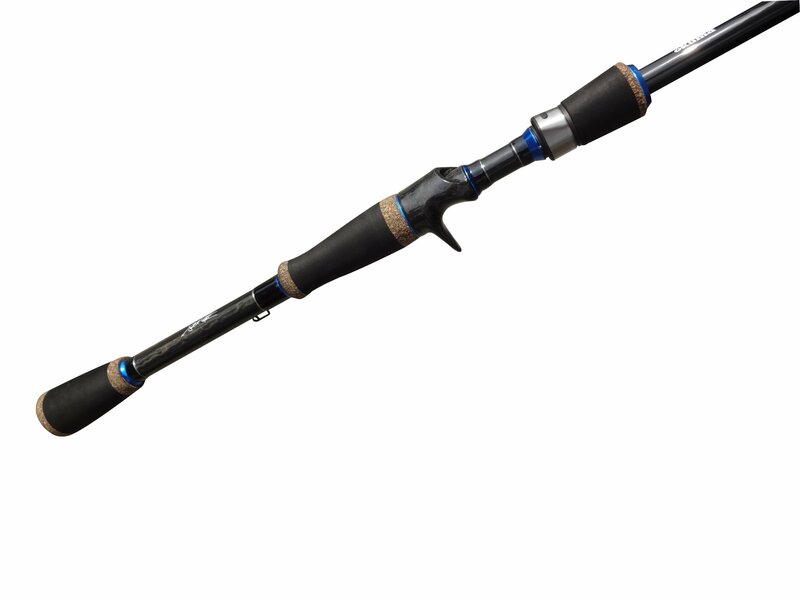 In the market today, the Cadillac of all the fishing rods is the Okuma Rod. Pretty much sleek, it has been tested for many years as a best choice for anglers worldwide. Recommended by the famous angler of the year Scott Martin, this item is a must have for serious and competitive anglers. The blank’s power is strong enough to help you fight your way against a huge catch. The flexibility for the 7’11” line is medium plus coupled with definitely quick action. The tip can dramatically bend almost at the center of the rod. This is ultra-sensitive and made out carbon reel. Sturdy at the same time light and perfect for a casting bait reel. It comes with soft foam handle and fine metal guides. Casting comes easy with a lure weight of 3/8 – 3/4oz. 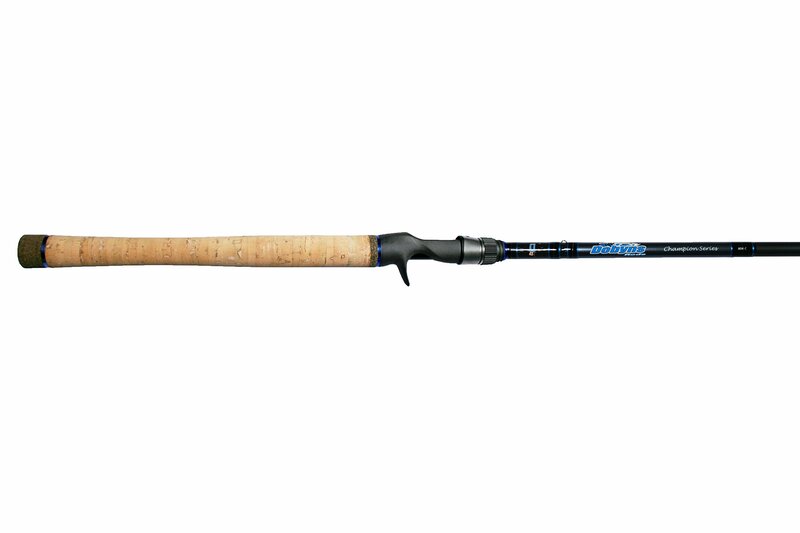 The Okuma brand also comes with various sizes and lengths to meet various angler demands. This product is almost near to perfection. Using mere spinning rods may be not advisable for these hotshot considering its quality. Bait casting reel can really bring out the full potential of this rod. The only cons for this rods it that lure weight must come heavy for that long-range casting. Next in line is the Dobyns Rod. 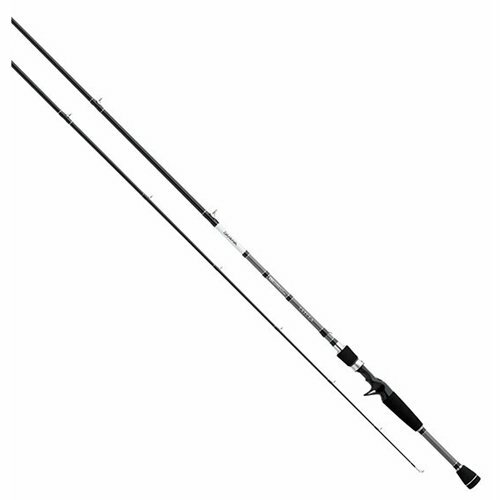 Fit for champions, this rod stretches 7’6” perfect for tall anglers. It comes with proprietary high modulus graphite blanks. The reels are made out of Fugi graphite. Very competitive, the power is fast and action is quick, for that swift twitch. The only downside for this it is its cork handle which may be less comfortable while it comes with a light lure weight of 1/4oz. The other three brands are the regular ones that you can find online. If you are not really into competitive fishing and just want to have fun with your friends while fishing over a bottle of beer, these are the ones that you may want to have. They are the G.Loomis Rod, Tatula Rod and Orochi Rod. The down side with all these three brands is that they may function well typical with other rods out there but many anglers are doubtful regarding the quality and strength of their materials. Some claim overpricing for these products for claiming high quality features which do not reflect real thing. This issue is much prevalent with the G.Loomis Rod Some customers even find the blank crooked. Anyway, for those who want to save some cash, these may help you out. The G.Loomis Fiber-Blend Jerkbait Series has a medium, fast power and action. Its Lure weight is 1/4oz. 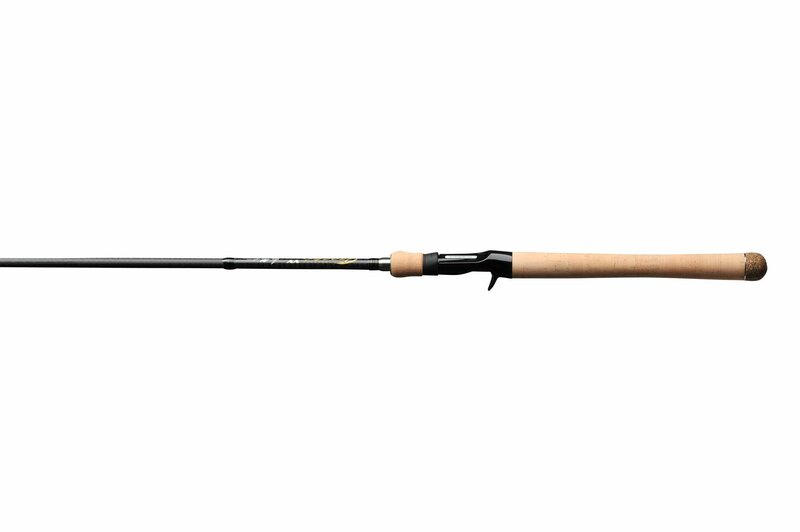 Tatula rod integrated hyper bundled moduclus carbon graphite. This multiple bundle construction makes the rod lightweight and at the same time flexible. It is also make out of Fuji painted ACS real seat for bait and casting, also for split grip and design. Power is medium, action is moderate. The Line weight for this rod is 8-14 lbs. with the lure weight of 1/4 to 5/8oz. Almost similar in functionality and efficiency with the Tatula rod, the Orochi rod fit for the taller ones with the 7ft. long height. This rod is also reinforced with graphite to sustain strength during tough cranking. This has a parabolic bend with can sustain in highly arched. This is a much sensitive rod, with vibrating lures. A rubber/cork composite end cap is attached to the rod to protect the angler from fierce hook sets. This issue has been debated by many fishers but I want to end this debate once and for all. Simply, if you are a professional and you have been fishing for quite long time then it is pretty much convenient for you to use the bait casting reel. If you are new to this hobby, it is advisable to use the spinning reel. At this point, you now have a better outlook regarding their difference. In general, the bait casting reel is much expensive, usually it comes a price of $350. This is pricey for newbies but better off with the pros. The spinning reel is good for beginners, usually peg at $200 depending on the quality of the product. Over all, the casting bait reel is a complex system. The positive traits as follows: it is light weight, perfect for hours of casting, typically requires a heavier bait, has a breaking system at a thumb’s control for controlling the casting distance, more line capacity and easy cranking down of your catch. If you want to enjoy these perks then better buy a casting bait reel. However, if you use a light bait, the release of the line comes slow which could lead to a backlash. Your line will snarl up and it would like a bird nest on your reel – it could ruin your day. The old folks would prefer bait casting reel. The spinning reel is for your average joe. It is easy to use. It is straightforward. But this baby, is damn heavy. It may be less sophisticated but can be cumbersome, and strenuous to the arm. Spinning reel also has more line drag while control is compromised. A reel of this type is better for short distance fishing using lighter baits. How to choose the best fishing line for jerkbait rod? The regular fishers, who are less competitive, usually use #10 Monopolymer lines. These are less expensive ones but are quite heavy and less flexible. A diameter 10 Monopolymer could also snap in extreme fishing. These lines are also less transparent making it visible by some types of fishes. Innovations are made and most anglers prefer Flouropolymers at 20 diameter. These are enhanced type of Monopolymer. They are lighter but has a high refractive index which means it is flexible. Added to its durability, it is more transparent, a perfect way to fish even if the water is not choppy. There are lot of baits there the market which perfectly mimics organic fish. The best ones are the Lucky Craft Staysee, Gary Yamamoto Tenkuu, Ima Flit. These brands have colorful designs. The glossy finish is perfect for a smooth dive. With standard weights, it can submerge 8 to 10 feet. Other brands all come with holographic design. These designs come it different colors and sizes and prices may range from $12 up to an eye-whopping $22 for just a bait. The cheaper ones, are the Biovex Amp Stay 80, LIVETARGET Baitball Series Glass Minnow and the Lunkerhunt Floating Jerkbait. They function as a regular minnow. Some come in various colors. Most of these baits are good at shallow fishing. Some may find these as low quality but with the right technique and experience some anglers and fishers still find these baits reliable and useful. Overall, a tool can only be as good as its end user. When you are a sporty type, who is willing to push yourself through a death defying fight against a monster fish, you better pick tougher rods with remarkable power and flexible blank. As you choose ace rods, you may want to use bait casting reel, just avoid backlashing your lines. The big catch would surrender without a fight, so a strong fluoropolymer is your partner in those crucial moments. For those who are new to this hobby, a shorter rod with less power but more flexibility is enough. Beginners may want to use spinning reels for cranking fish easier. Baits are also less significant. It may be expensive or cheap, when you fish with the right timing and the right weather, any lure and bait does work. A great angler needs a good rod moreover fishing requires common sense, patience, and discipline! Enjoy Fishing! Best Scope for 7mm Rem Mag: What’s the Best Pick for You this 2019?